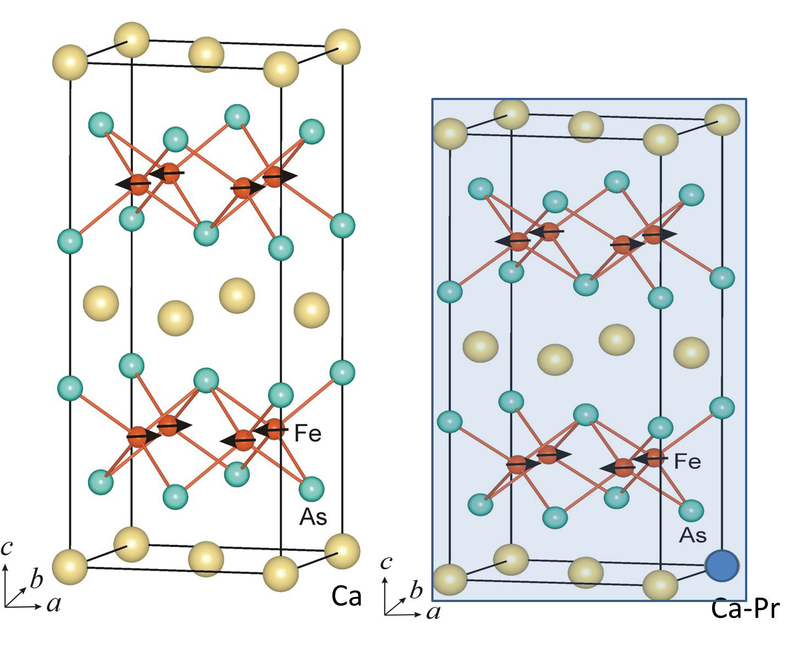 The interplay between structural, magnetic and superconducting properties in the newly discovered iron-based superconducting compounds has been a central theme in attempts to elucidate the nature of Cooper pairing in this new family of high-temperature superconductors. Now, a team from the National Institute of Standards and Technology (NIST) and the University of Maryland has found an iron-based superconductor that operates at the highest known temperature for a material in its class . The discovery inches iron-based superconductors—valued for their ease of manufacturability and other properties—closer to being useful in many practical applications. Iron-based superconductors, which were discovered only about four years ago, are a hot research topic, in part because they are more amenable to commercial applications than copper-based superconductors, which are more difficult to make and are frequently brittle. 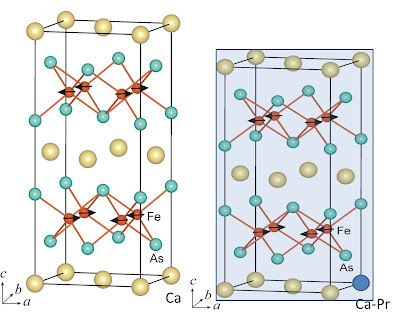 Of the four broad classes of iron-based superconductors, the 1:2:2 class—so named because their crystals are built around a hub of one atom of calcium, two of iron and two of arsenic—is particularly promising because these superconductors’ properties can be custom-tailored by substituting other atoms for these basic elements. Magnets made with low-temperature superconductors have already found use in hospital MRI machines, but less expensive MRI machines and other applications, such as superconducting cables for resistance-free power transmission over long distances, become closer to reality the more choices manufacturers have among superconductors. Working at the NIST Center for Neutron Research (NCNR) and the University of Maryland, the team found that a particular type of 1:2:2 superconductor possesses some unexpected properties. Of perhaps greatest value to manufacturers is that its threshold temperature of superconductivity is 47 degrees Kelvin, the highest yet for the 1:2:2 class, whose previous record was 38K. [Image credit: NIST] When calcium atoms (yellow spheres) in these iron-based crystals (left) are replaced on some occasions with praseodymium (blue sphere in right image), the crystals are able to superconduct at up to 47K - but the crystals can also collapse, shrinking by about 10 percent in size. Adding a sufficient amount of praseodymium is necessary to avoid the collapse, which compromises the materials usability in electronics applications. This effect is likely one that manufacturers will want to avoid. But Lynn says the group’s research has determined how to make the substitution while eluding the collapsed state altogether, so that as it is cooled, the potential mechanical instabilities associated with the collapse are sidestepped. “This understanding should enable manufacturers to use the superconductor in electronic devices,” he says. S.R. Saha, N.P. Butch, T. Drye, J. Magill, S. Ziemak, K. Kirshenbaum, P.Y. Zavalij, J.W. Lynn and J. Paglione. "Structural collapse and superconductivity in rare-earth-doped CaFe2As2". Physical Review B, vol. 85, pp 024525 (2012). Abstract. ArXiv:1105.4798.